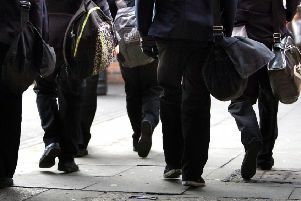 Government funding cuts will leave South Tyneside schools almost £5million worse off by 2020, claims the UK’s biggest teaching union. But a town hall bosses says the National Union of Teachers’ figures should be taken with a pinch of salt. The websiteschoolcuts.org.uk, published by the NUT and other unions, says Government policy means schools in the borough will be £4,754,284 worse off and claims Ridgeway Primary Academy will be hardest hit, losing £900 per pupil. It claims St Joseph’s Catholic Academy will lose £584 per pupil; Whitburn Church of England Academy £578; Lord Blyton Primary Schoo £552 and Jarrow School £543. The union says the proposed new National Funding Formula (NFF) will simply redistribute existing money across the country, while a Government funding freeze on top of rising costs will cut the value of funding by almost 10 per cent. South Tyneside schools are being forced to make decisions no head should have to make. South Tyneside Council’s lead member for children, young people and families, Coun Joan Atkinson, said: “These figures need to be viewed with caution. They project reductions by the 2019/20 financial year compared with 2015/16. “The start of the 2017/18 financial year is now just weeks away so we will have a clearer picture of funding for our schools at that point. “However, we hope to gain from the national funding formula, and, if so, our schools will be better off compared to schools in many other areas where many will see significant cuts to their education budgets.